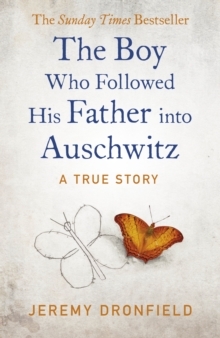 THE SUNDAY TIMES BESTSELLER 'An emotionally devastating story of courage - and survival' i PaperThe inspiring true story of a father and son's fight to stay together and survive the Holocaust, for anyone captivated by The Cut Out Girl, The Choice and The Tattooist of Auschwitz. 'An extraordinary tale' The Times (Best Books of 2019) ___________Where there is family, there is hope . . . Vienna, 1939. Nazi police seize Gustav Kleinmann, a Jewish upholsterer and his son, Fritz, and send the pair to Buchenwald in Germany. There began an unimaginable ordeal that saw the pair beaten, starved and forced to build the very concentration camp they were held in. When Gustav was set to be transferred to Auschwitz, a certain death sentence, his son refused to leave his side. Throughout the horrors they witnessed and the suffering they endured, there was one constant that kept them alive: the love between father and son. Based on Gustav's secret diary and meticulous archive research, this book tells their incredible story for the first time - a story of courage and survival unparalleled in the history of the Holocaust. The Boy Who Followed His Father into Auschwitz is a reminder of both the best and the worst of humanity, the strength of family ties, and the power of the human spirit. ___________'Extraordinary' Observer 'We should all read this shattering book about the Holocaust. An astonishing story of the unbreakable bond between a father and a son. Brilliantly researched and written with searing clarity' Daily Mail'A deeply humane account. This book could not be more timely and deserves the widest possible readership' Daily ExpressAs seen on BBC Breakfast and Sky News, and heard on BBC Radio 4 & BBC Radio 5 Live.